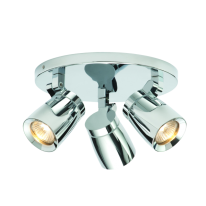 9881CCBlocs - 1 Light Spotlight Wall Bracketracket..
7884CCBlocs - 4 Light Spotlight Square, Chrome, Cl..
4412CCBubbles Effect Ip44 Led 2 Light Spot Bar - C..
59934The Burbidge is a single spot light in a brig..
59935The Burbidge is a triple spot light in a brig..
59936The Burbidge bar is a spot light in a bright ..
7491Comet 1 Light Spot Matt Black/chrome Wb Gu10Th..
7493Comet 3 Light Bar Spot Matt Black/chrome Gu10T..
7494Comet 4 Light Sq Spot Matt Black/chrome Gu10Th..
7495Comet 5 Light Bar Spot Matt Black/chrome Gu10T..
P6331SSDecco Pack 6 - 1 Light Satin Silver Mini D..
P633SSDecco Pack 6 - Satin Silver 3 Light Mini Di..
P4333SSDecco Pack 6 - Satin Silver 's' Bar Spot - ..
5921BWDiablo 1 Light Led Spotlight, Matt Black and..
5921BGDiablo 1 Light Led Spotlight, Matt Black and..
5922BGDiablo 2 Light Led Spotlight Bar, Matt Black..
5922BWDiablo 2 Light Led Spotlight Bar, Matt Black..
5923BGDiablo 3 Light Led Spotlight Round Plate, Ma..
5923BWDiablo 3 Light Led Spotlight Round Plate, Ma..
5924BGDiablo 4 Light Led Spotlight Split-bar, Matt..
5924BWDiablo 4 Light Led Spotlight Split-bar, Matt..
5926BGDiablo 6 Light Led Spotlight Split-bar, Matt..
5926BWDiablo 6 Light Led Spotlight Split-bar, Matt..
8901ABDonut 1 Light Led Spot Wall Bracket, Antique..
8903ABDonut 3 Light Led Spot Light Antique BrassPr..
8904ABDonut 4 Light Led Split Bar, Antique BrassCr..
8904CCDonut 4 Light Led Split Bar, ChromeTurn head..
8906ABDonut 6 Light Led Split Bar, Antique BrassWi..
8906CCDonut 6 Light Led Split Bar, ChromeIlluminat..
1221ABEros - 1 Light Spotlight, Antique BrassThe E..
1223ABEros - 3 Light Spotlight Disc, Antique Brass..
1224ABEros - 4 Light Spotlight Split-bar, Antique ..
693SSFalcon 3 Light Satin Silver Plate Spot Gu10Th..
6984SSFalcon 4 Light Satin Silver Bow Bar Spot Gu1..
5156CCRecessed - Downlighter - 1 Light Chrome/clea..
6363CCFlute - Ip44 Dimmable 3 Light Led Spot Roun..
6361CCFlute - Ip44 Dimmable 1 Light Led Spot Wall ..
6364CCFlute - Ip44 Dimmable 4 Light Led Spots Spli..
1541SSFocus - 1 Light Satin Silver Industrial Spot..
1541ABFocus - 1 Light Spotlight, Antique BrassThis..
1543SSFocus - 3 Light Satin Silver Industrial Spot..
1543ABFocus - 3 Light Spotlight Disc, Antique Bras..
1544SSFocus - 4 Light Satin Silver Industrial Spot..
1544ABFocus - 4 Light Spotlight Split-bar, Antique..
EL-10047A 4 light spot light featuring a square ba..
59931Adjustable LED spotlight supplied with a 3.5W..
59932Adjustable LED spotlight supplied with 3.5W L..
59933Adjustable LED spotlight supplied with 3.5W L..
8811CUJupiter 1 Light Antique Copper SpotlightThis..
8813CUJupiter 3 Light Antique Copper Spot PlateThi..
8814CUJupiter 4 Light Antique Copper Split BarThis..
8816CUJupiter 6 Light Antique Copper Split BarThis..
811-SCSingle spotlight on a round plate with a sat..
813-SCTriple spotlight on a round plate with a sat..
814-SC4 light ceiling spotlight bar with a satin c..
9881CC-LEDBlocs - 1 Light Spotlight Wall Bracketra..
9884BC-LEDBlocs - 4 Light Spotlight Split-bar, Bla..
9884CC-LEDBlocs - 4 Light Spotlight Split-bar, Chr..
7884BC-LEDBlocs - 4 Light Spotlight Square, Black ..
7884CC-LEDBlocs - 4 Light Spotlight Square, Chrome..
9886CC-LEDBlocs - 6 Light Spotlight Split-bar, Chr..
3764CC-LEDLed Triton - 4 Lightt Spotlight Plate, ..
4764CC-LEDTriton 4 Light Bar Spot Chrome/clear Gla..
9993CCMesh Spot I - 3 Light Spotlight Plate, Chrom..
9994CCMesh Spot I - 4 Light Spotlight Split Bar, C..
7713CCMesh Spot Ii - 3 Light Spotlight Plate, Chro..
7714CCMesh Spot Ii - 4 Light Spotlight Split Bar, ..
71047A single LED spotlight finished in brushed ni..
71048A 3 light LED ceiling spotlight finished in b..
71050A 4 light LED ceiling spotlight finished in b..
4921SSPalmer - 1 Light Spotlight, Satin Silver Wit..
4923SSPalmer - 3 Light Spot Plate, Satin Silver Wi..
4924SSPalmer - 4 Light Spotlight Split Bar, Satin ..
4926SSPalmer - 6 Light Spotlight Split Bar, Satin ..
5764WHPluto 4 Light White/chrome Egg - Split Bar S..
5766WHPluto 6 Light White/chrome Egg - Split Bar S..
73691A single LED bathroom spotlight with smooth c..
73692A 3 light LED bathroom spotlight with smooth ..
4231CCQuad 1 Light Led Square Head Spot Wall Brack..
4231SSQuad 1 Light Led Square Head Spot Wall Brack..
4233CCQuad 3 Light Led Square Head Spot Plate, Chr..
4233SSQuad 3 Light Led Square Head Spot Plate, Sat..
4234CCQuad 4 Light Led Square Head Spot Split-bar,..
4234SSQuad 4 Light Led Square Head Spot Split-bar,..
3171CCRollo 1 Light Cylinder Head Spot Wall Bracke..
3171WHRollo 1 Light Cylinder Head Spot Wall Bracke..
3173CCRollo 3 Light Cylinder Head Spot Plate, Chro..
3173WH3 Light Cylinder Head Spot Plate, White & Ch..
3174CCRollo 4 Light Cylinder Head Split Bar, Chrom..
3174WHRollo 4 Light Cylinder Head Split Bar,white ..
6601ABSamson 1 Light Ip44 Bathroom Spot Wall Brack..
6601SSSamson 1 Light Ip44 Bathroom Spot Wall Brack..
6603ABSamson 3 Light Ip44 Bathroom Spot Plate, Ant..
6603SSSamson 3 Light Ip44 Bathroom Spot Plate, Sat..
6604ABSamson 4 Light Ip44 Bathroom Spot Split-bar,..
6604SSSamson 4 Light Ip44 Bathroom Spot Split-bar,..
6606ABSamson 6 Light Ip44 Bathroom Spot Split-bar,..
6606SSSamson 6 Light Ip44 Bathroom Spot Split-bar,..
70948This stylish, dedicated LED spotlight is perf..
8763CCSaturn 3 Light Chrome Bar Spotlight Glass Ba..
70949This stylish, dedicated LED 3 light spotlight..
70950This stylish, dedicated LED 4 light spotlight..
8764CCSaturn 4 Light Chrome Sq Spotlight Glass Bac..
8765CCSaturn 5 Light Chrome Bar Spotlight Glass Ba..
73883A sleek stylish single LED spotlight finished..
73884A sleek stylish 3 light LED spotlight finishe..
Are spot lights right for you? As they can go in almost any room, are very adjustable so you can reach hit hard to reach dark places, are leading in the modern market and can accept both halogen and LED bulbs... then most likely yes! What's great is that we have a wide range of spotlights for you to view and purchase, all chosen for the design and functionally by the Lumination team, helping you to narrow your search for the ideal light. Ceiling spot lighting are very easy to install adjust but if you need any assistance before or after installation please feel free to contact us as we are always happy to help.